Whether a professional athlete or a weekend warrior - you need a plan for dealing with the stress of exercise. If you do not allow for enough recovery between one stress and the next - your body enters a state of compensation. It starts breaking down rather than building up. And the breakdown starts with the gut. The stress of exercise increases the absorption of toxins into the blood from damage to the gut. If you fail to protect the gut or add further damage to it - you accelerate injuries and your time exercising will work more to decrease longevity rather than extend it. Usually, the gut tightly controls what gets absorbed in the bloodstream and what stays out. When the gut is “leaky,” harmful proteins and toxins migrate into the bloodstream and affect the entire body. Professionals call this state “metabolic toxemia.” I wanted to highlight that something healthy like exercise can also cause a leaky gut & metabolic endotoxemia - exercise can aggravate similar problems if you’re not careful. This inflammation leads to muscle and joint aches, soreness and delayed healing. It may also lead to mental fog and poor focus. It also increases the risk for autoimmunity and skin disorders. If you’re going to exercise at a high level of intensity - you need to take care of the gut for optimal performance. Many athletes turn to coffee to boost energy and performance & as a response to being under-recovered. Athletes are often tired and lack focus because of a need of recovery. Caffeine helps them push and get a few more workouts in - but you drive compensations to your hormones, immune system, and of course your gut lining in the process. Over-exercise and exercise addiction can drive fatigue, foggy-headedness, and diminished benefits from exercise. These happen to overlap with reasons that people might turn to more caffeine or “harder” exercise. It’s a vicious cycle I see all the time in otherwise very healthy individuals. Coffee can damage the gut in two ways. First, it’s significantly acidic and can be directly irritating to the gut lining. Second, it leads to a release of stress hormones to give you short-term energy - but deplete your reserves for tomorrow. It can also lead to tolerance - meaning you need more coffee to give you the same energy boost. So while many people claim they "drink coffee for the taste" - that taste sensation can really be a secret caffeine addiction. I had to admit that fact to myself even though I love the bold flavor of coffee - that my “love of the taste” was also a rationalization of my addictive love of the energy high and focus boost I get from the caffeine - just saying! There’s a few things you can do to minimize harmful effects of excessive coffee. One - Choose a medium roast. Medium roasts tend to optimize rich flavor & protective antioxidants - without creating charring residues like acrylamide that can be harmful & add to coffee acidity. Second- People can discontinue caffeine or switch to decaf every 1-2 months for a good 10-21 days. Cutting out coffee or significantly reducing your caffeine intake helps your nervous system recovery and minimized tolerance. I use Bulletproof Decaf & drink more tea in these periods. I’ll also work in some matcha green tea instead of coffee and espresso during the cycles of caffeine allowance3. For those with adrenal fatigue and exhaustion - unfortunately, they often have to quit all sources of caffeine for a while to allow for adrenal recovery and gut healing. If someone has high stress or an irritated gut - high coffee intake worsens the situation. Lastly - Stay hydrated. Coffee throws off your electrolyte balance (magnesium, potassium, sodium, and calcium). Electrolyte imbalance adds strain on your heart to keep your blood pressure balanced and your heart rhythm healthy. It's not wise to add electrolyte imbalance on top of existing stress. Consume coffee carefully my friends! While NSAIDs block pain and inflammation, they also stop the production of mucus that lines and protects the GI tract. NSAIDs side effects can damage the stomach & intestinal lining - leading to ulcers and bleeding of various severity. NSAID side effects are so severe that they cause up to 17,000 preventable deaths a year and over 100,000 emergency hospitalizations (https://www.ajmc.com/journals/supplement/2013/a467_nov13_nsaid/a467_nov13_fine_s267). The stress on your system from NSAID use may not kill someone - but it contributes directly to leaky gut that drains the ability to heal & repair over time. A "leaky gut" (or impaired GI absorption) is a gateway to a host of problems. NSAIDs block inflammation - this may be necessary for short-term instances, but long-term use may aggravate problems. Inflammation is the body’s healing response. Inflammation is the body’s way of bringing immune cells to the area and starting tissue and cell repair. Muscle cells may not hurt as much while taking NSAIDs - but they do not heal, recover, or strengthen as well when taking NSAIDs - wasting your workout efforts. Athletes are already subject to gut dysfunction from the stress of exercise. Consuming OTC NSAID pain relievers worsens barrier dysfunction & injury to the gastrointestinal lining (https://www.ncbi.nlm.nih.gov/pubmed/22776871). There are alternative anti-inflammatories to NSAIDs, and biohacker and fitness expert Ben Greenfield did an excellent job recently discussing alternatives. Supplements: Collagen protein, fish oil, methylsulfonylmethane (MSM), proteolytic enzymes, & curcumin. Modalities: Sauna and cold therapy, magnesium oil lotion, mobility & deep tissue work, healthy sleep and naps. Foods & Spices: Collagen-rich bone broth, cruciferous vegetables, garlic, ginger, turmeric, & rosemary (sounds like an excellent anti-inflammatory soup to me!). There are many great strategies to support gut health. These strategies explicitly target the healing of the gut lining - helping the body adapt to the stress of exercise. Use these strategies alone or in combination with one another to assist in gut repair. Zinc carnosine is a unique zinc combination that yields more benefits than supplementing with either nutrient by itself. It’s one of my favorite supplements. I take zinc carnosine every few months to help heal any damage to my gut & to take advantage of its other benefits. It promotes the healing of mucous membranes like the gut & offers antioxidant and anti-inflammatory effects to areas of injury. I love that zinc carnosine primes the body to handle stress more efficiently in the future - including the stress of exercise. Zinc carnosine promotes the expression of heat shock proteins. Heat shock proteins act like guards for your cells - protecting them from stress and making sure they grow and repair. Heat shock proteins also help the immune system target cells that are damaged or infected and are well-regarded for their longevity benefits. Zinc Carnosine boosts the expression of heat shock proteins. Some gut repair products or acid relief supplements contain zinc carnosine. I look for at least 75mg taken twice a day for best effect. I use Zinc Carnosine by Integrative Therapeutics. Immunoglobulins (IgG) act as antibodies. IgGs grab toxins and pathogens and remove them from the body - allowing the immune system to function more optimally. Supplemental IgG comes from bovine (cow) serum. A good source is free of allergens like whey, casein, lactose, and beta-lactoglobulin. I use MegaIgG 2000 by Microbiome Labs. L-glutamine is an amino acid that supports intestinal healing. Intestinal cells can use L-glutamine as a fuel source. Its intake directly supports the development of the intestinal lining. Most of our L-glutamine intake is grabbed by the intestine to support repair - extra can then be used to promote immune health too. Lymphocytes also use L-glutamine directly as a fuel source. A healthy lining is necessary to support healthy barrier function & levels of probiotics. L-glutamine is one of the most conditionally-essential nutrients in times of stress. "Conditionally essential" means that it gets acutely depleted first before other nutrients. After an intense workout - an illness - or other compromised state - glutamine gets depleted rapidly. So even though L-glutamine is present in many foods - supplements help the body recover in times of higher need. You’ll see L-glutamine in pre-workout or sports recovery products for this reason. I like using L-glutamine powder because I want to dose it 10g at 3x/day for best benefit. It is not uncommon to supplement higher. Many supplements only include 3-5g of L-glutamine - it’s okay to take these, and then you can add additional capsules or powder to get yourself to the 10g per serving. There can be some circumstances where you may want to avoid excess L-glutamine - so check with your nutritional professional as to what’s best for you. 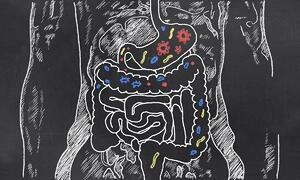 Gut bacteria have a vital dual-relationship with the gut lining. Gut bacteria promote a healthy gut lining - and a healthy gut lining nurtures healthy gut bacteria. When out of balance, probiotic support has proven time after time to be an essential adjunct to any GI wellness program. I love using spore probiotics like Megasporebiotic. They are unique in that stomach acid does not kill them - and they offer unique antibacterial and anti-yeast properties to help crowd out unwanted overgrowth of microbes including Candida or Clostridium difficile. Because these come from the soil, many people are deficient in these gut microbes as we live in sanitary environments and interact with the Earth much less than our ancestors. Some every-day interaction with dirt optimizes our immune system as a result of these beneficial spore probiotics. It is crucial to ensure healthy levels of other probiotics too. Strains like Lactobacilli and Bifidobacteria are highly prevalent in the gut and clinically meaningful. The problem with these strains is that they are mostly killed entirely by the stomach acid in the gut. You can purchase a probiotic that is of a good brand, excellent packaging, proper dosage, ideal refrigeration and appropriate storage - and stomach acid will still kill 90%+ of the strains. High-dose products like VSL#3, or products from Klaire Labs, Metagenics, and others may have enough dosage that the 10% leftover can still be helpful. I still saw decent results for years using a variety of these products - but you’re getting 90% less dosage for your money despite how well they take formulate and take care of their products. 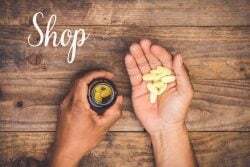 It wasn't until I started using Spore probiotics and Master Supplements products that my clients did not want to stop taking the products (or rotate to new ones!) - which meant they were seeing sustained results - more so than I saw using other brands. Dead probiotics still help modulate the immune system - so other proboitics are not always a complete waste. Their modulating benefits are useful only as long as you keep taking them - yet you’re not genuinely re-colonizing the GI tract with live cells as you might think. Many probiotic studies detailing benefits focus on short-term conditions like acute diarrhea, in part, due to their short-term benefits. I use Master Supplements probiotics like Theralac, TruBifido, or TruFlora alone or combined with spore probiotics like Megasporebiotic. Master Supplements has a patented “acid-proof” delivery method that carries their probiotics through the stomach acid unharmed. Spore probiotics naturally protect themselves from the acid. The strategy offers more complete probiotic diversity & ensures delivery of "live" cells past the acidic stomach. Master Supplements goes a step further and separates certain Lactobacilli and Bifidobacteria strains that would otherwise compete with one another (one inhibits the growth of the other) - other companies wrongfully combine these strains inviting a civil war in their formulations. When these probiotics are taken separately - these competing Lactobacilli and Bifidobacteria strains take up residence in the appropriate areas of the gut and are kept separate naturally. Many companies put them all together anyway and brag about the high number of strains - meanwhile, you get a less adequate product for your money. It is recommended to take Theralac, TruBifido, & TruFlora at separate times of the day, or rotate bottles every 1-3 months to avoid this competition. I take Megasporebiotic and rotate Theralac, Trubifido, and Truflora on a monthly or bimonthly schedule to promote wide strain diversity & keep my gut lining healthy from day-to-day stress from intense exercise or irritating foods. If you’re looking for a less-complex plan - you can go with Theralac & Megaspore on a regular basis. If that combination is too potent or you have a history of being sensitive to new probiotics - try TruBifido foremost as it avoids some of the stronger immune stimulation from Lactobacilli strains. Adaptogenic herbs - Ashwagandha, Rhodiola, and others. Adaptogenic herbs help you to “adapt” to stresses. Their effect is bi-directional. If over-stimulated - they work to calm things down. If under-stimulated - they offer a boosting effect. Ashwagandha is one of the most popular adaptogens. I like it because it seems to promote system-wide hormone balance. Rhodiola can act as a natural "5-hour energy". It also is well-regarded for its ability to charge up & protect your mitochondria - essential for self-healing and aging. Adaptogenic herbs like ashwagandha and rhodiola are safe, gentle, yet quite useful. They level out the peaks and valleys of your stress response so that you better adapt to the challenges of exercise (and life). Reishi is the number one selling & researched medicinal mushroom in the world. It has excellent energy promoting benefits without making you feel wired like caffeine. 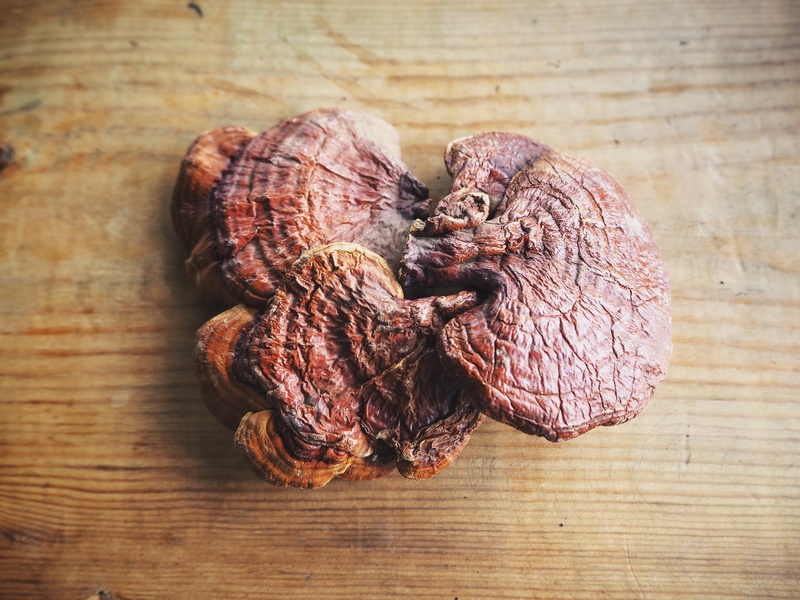 As an adaptogen, reishi benefits are not overly stimulating as you might find with Cordyceps (another favorite of mine that can be combined with reishi). I've written about Cordyceps previously. Chaga is a lesser-known mushroom that tends to have healing properties to mucous membranes. It is known to support respiratory health - as mucus lines the lungs & this protective layer is vulnerable to injury. Host Defense Mushrooms combines reishi and chaga in their Breathe formulation - I would turn to this same formulation to support gut health too - especially when stress is a triggering factor. Lion’s mane is a personal favorite as it helps promote focus, cognition, and overall brain benefits. Damage to the gut can damage this unique system of nerves - including the vagus nerve which is the master controller of your “rest and digest” functions. Lion’s mane has good support behind its ability to heal nerve tissue - not just in the brain but the nerves feeding your entire body. 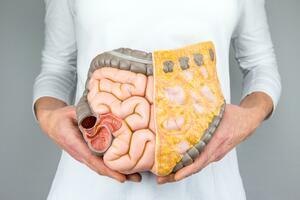 Did you know that brain injury like concussions can also damage the gut too? Concussions are a huge topic in sports performance and safety today - Lion’s mane can aid in this recovery from mild and severe head trauma. Lion’s mane also has some research showing benefits for gastrointestinal integrity. Writing about all of these benefits of Lion’s mane just gave me chills thinking about all of the lives it could help change! Collagen is known for its benefits to support healthy skin. When the skin is healthy, your joints tend to be healthy too. The components of healthy collagen promote good repair and growth of muscles, ligaments and tendons. The elements also help draw fluid into joint spaces - creating pillowy cushions for your bones. Collagen protein will provide many of these components in an easily digested powder. Bone broth can also be an excellent precursors. The same components of collagen also help to promote a healthy mucous layer in the gut. The mucus layer is watery and gel-like. The gut essentially borrows the same cushioning properties created in your joints by incorporating these collagen-like compounds in the mucosal layer of the gut. The mucus layer cushions & protects your intestines from harmful outsiders. It also acts as a home & feeding ground for the trillions of beneficial microbes in the digestive tract. 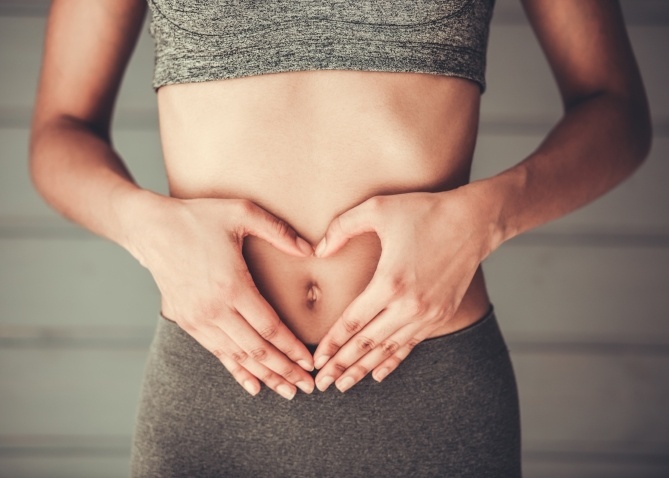 I've detailed a more comprehensive gut mucosa recovery guide that you may want to check out too!